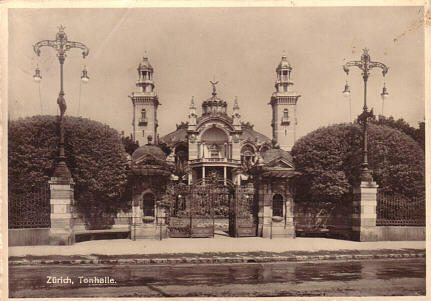 Concert hall, built 1893-1895 as "Tonhalle" by Ferdinand Fellner & Hermann Helmer. 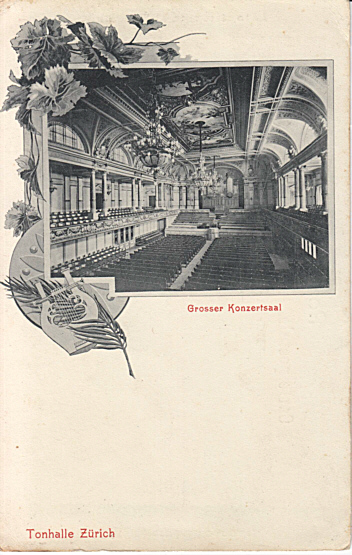 Opened 19-22 Oct 1895 with Brahms's "Triumphlied" and Beethoven's 9th Symphony. 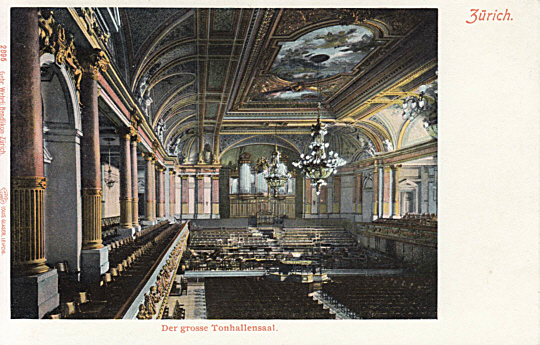 The complex comprsied three halls: "Hauptsaal", also known as "Großer Tonhallensaal" (1546 seats), "Kleiner Saal" (600 seats), and "Pavillon" (900 seats). 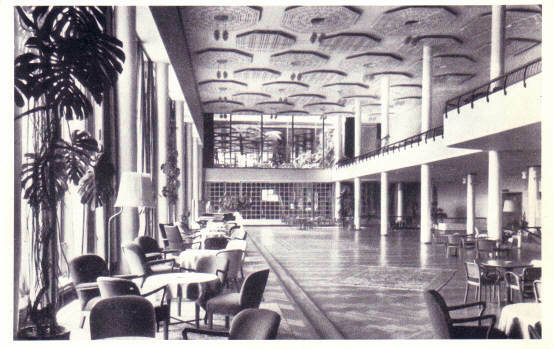 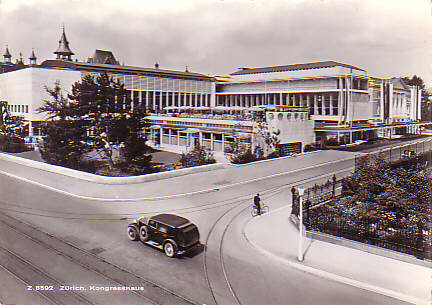 1938 partly demolished (towers, auditorium decoration and "Pavillon" building completely destroyed), re-built as congress hall "Kongresshaus" by Häfeli/Moser/Steiger. 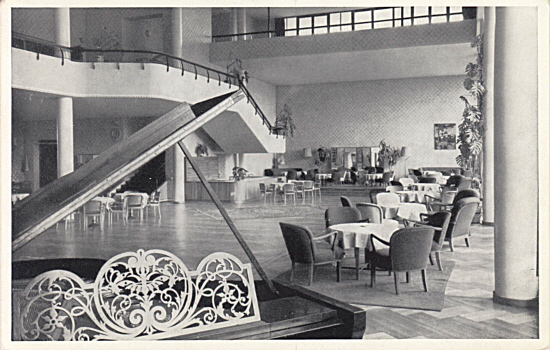 1977-1979 rebuilding of musicians' rooms, addition of a new glass tower between the old building and the new congress hall buildings by Peter Steiger. 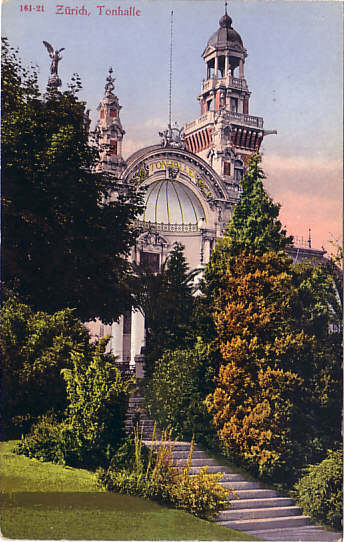 2017-2020 major restoration. 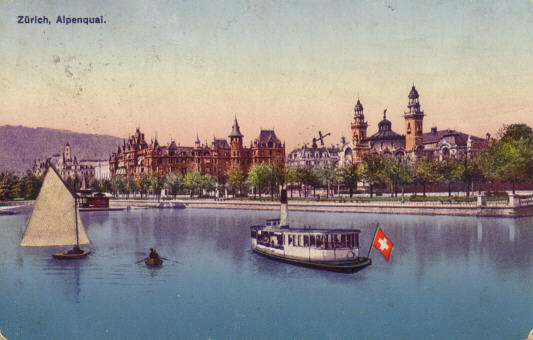 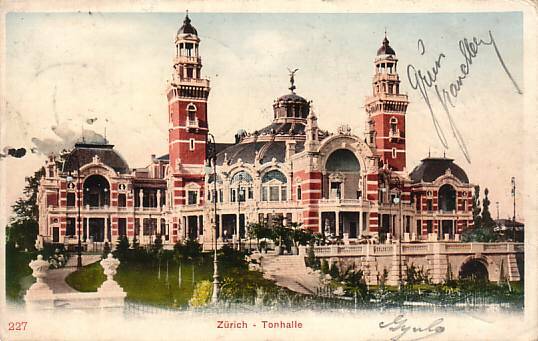 Home to the Tonhalle-Orchester Zürich. 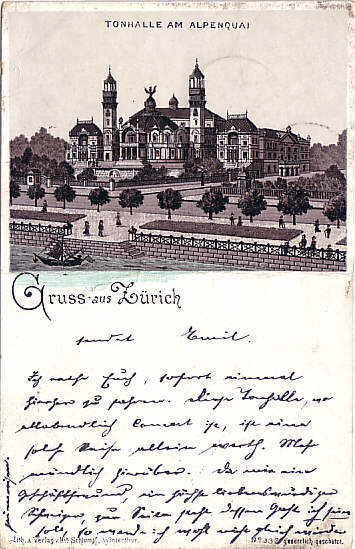 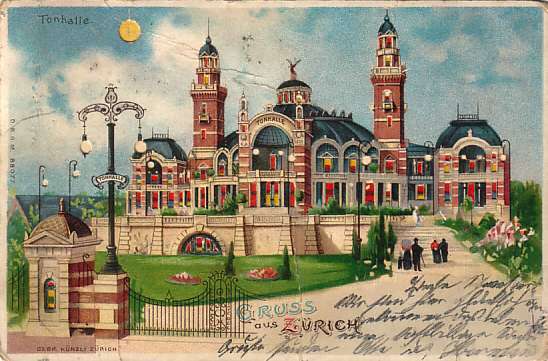 Front Text: "Tonhalle am Alpenquai - Gruss aus Zürich"
Front Text: "Tonhalle - Gruss aus Zürich"
Front Text: "Zürich - Tonhalle"
Front Text: "Tonhalle Zürich", "Grosser Konzertsaal"
Front Text: "Zürich", "Der grosse Tonhallensaal"
Front Text: "Kongresshaus Zürich, Partie des Konzert-Foyer"
Reverse Text: "Kongresshaus Zürich, Konzert-Foyer"